At Van's, we've been leading the way for years with our gluten free, organic and nutritious frozen breakfast and now snack foods. Van's is devoted to providing meals that live up to your high standards. We've always stayed true to our commitment to making foods just the way you would—with fresh, wholesome ingredients and never any artificial flavors, colors or preservatives. And we make absolutely sure that our gluten free waffles and snacks are what we say. To ensure the absence of any wheat or gluten byproducts, we schedule these items through our production line first—and we test every single batch. Van’s Natural Foods, based in Phoenix, AZ, is the leading food brand in gluten-free and allergy-friendly, frozen breakfast and snack foods including waffles, pancakes, cereal, crackers and snack bars. Driven by a company mission to encourage healthy habits, our broad range of products deliver superior nutrition with such great taste that eating healthy is easy. Van’s has a 20-year legacy of serving a loyal and growing community of wellness-oriented consumers with high quality products including waffles, pancakes, French toast sticks, cereal, crackers and snack bars. Our wonderful line of offerings continues to grow. We're making life easier than ever before with new gluten free whole grain snack bars, cereals and crackers. The best part is, they're so delicious the whole family can enjoy them! 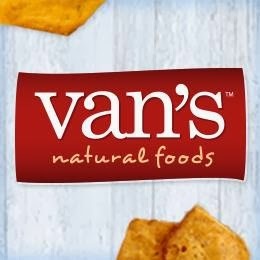 Look for Van’s products in grocery stores and mass retailers across the country. I must admit I played a trick on my husband; I gave him a PB&J sandwich bar and didn't tell him it was gluten free he gobbled it up and said it was good. I did it again later with the multi-grain chips, I did it because I wanted his honest opinion, I didn't want him to prejudge anything because of the words gluten free. It’s not as bad anymore; everyone deserves to be able to eat tasty food no matter what allergy you suffer from, it’s bad enough you have an allergy why should you be forced to eat tasteless food as well? It used to be not that long ago that when you say the words “gluten free” it also meant taste free, my husband was fond of saying gluten means flavor. That was then this is now, I received an assortment of goodies from Van's Natural Foods and even though their products are gluten free they are not taste free. In fact they are very yummy! Van's does a wonderful job of making what was a once bland option into something that is tasty and safe for those who aren't gluten tolerant. My of a husband wiped out almost the entire pack of PB&J blueberry bars by himself, he said there is only one problem with it……there’s no more left! If you’re one of the many people with a food allergy give Van's Natural foods a shot.If you’re allergic to something don’t worry they don’t make anything with it! My family and I loved the PB&J strawberry and PB&J blueberry bars, they were tasty sweet treats. They would make a great snack or an addition to a lunchbox. The Nacho Nacho Man chips, had a great cheesy taste, it was a great salty treat that reminded me of my favorite nacho chips. The BBQ chips were my absolute favorite, a great smoky flavor that we all loved. So if you are looking for some great gluten free treats I would highly recommend Van's Natural Foods, the selection and the taste is great. The generous folks at Van's Natural Foods are giving one of Susan's Disney Family readers a chance to win a Van's prize pack that includes free item coupons for Van's products including, three for the dry snacks including chips, crackers, snack bars, and cereal and three for the frozen line; the value is approx. $25. Would you like to win? Please visit the Van's site, take a look around then come back here and tell me something you would love to try. There are also other ways to enter, please enter below. You can purchase Van's Natural Foods products at a store near you, check out the store locator, to find a store near you. One winner will win a Van's prize pack that includes free item coupons a $25.00 value. Disclosure: The reviews and or opinions on this blog are my own opinions . I received vans snacks to review. No monitory compensation was received. I was not required to write a positive review. Your experience may differ. The opinions I have expressed are my own I am disclosing this in accordance with the Federal Trade Commissions 16 CFR Part 255: Guides Concerning the Use of Endorsement and Testimonials in Advertising . I love all of the Van's Waffles and crackers. I like the Fire-Roasted Veggie Crackers! I love their Say Cheese crackers, Nacho Nacho Man chips, and Ancient Grains waffles. I really like their French Toast sticks! I like Van's waffles. Although, that is the only think of Van's I have tried so far. I'd love to try the French Toast Sticks. I would love to try the pb and j sandwich bars. I love the pb&J bars. I've tried them. Yum. I like their blueberry waffles. Their waffles, I love their waffles. I like their gluten free blueberry and peanut butter snack bars. I have not yet TRIED VAns so I can't tell you which I love! BUT I have a daughter who discovered that she needed to go gluten free, so I am VERY interested in this product line now. I discovered, from being at that daughter's house, that I PREFER much of her gluten free things over what I use! I really like the waffles and french toast sticks. I like the Gluten Free Cereal Honey Nut Crunch. I would enjoy the Nacho Nacho Man chips. I love the French Toast sticks. I've never had their products but would love to try the french toast sticks. I like their Gluten Free foods like the peanut butter snack bars. Our family just loves their Honey Nut Crunch! I love the PB and Strawberry Bars! I love to eat the Nacho Nacho Man Chips. Yum. i've never tried van's, but i like wholesome food and i love blueberry waffles, so i'd like to try them. I like their Multigrain Pancakes. I've only tried the Organic Totally Natural waffles..and I really liked them. I love the French Toast Sticks Totally Original. We have never tried vans, but we would like to try the chips. I’d love to try their French Toast Sticks! 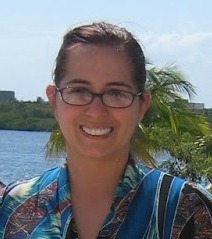 I love the Say Cheese! crackers. I have tried their waffles and they are delicious! I love the vegan waffles, especially the Blueberry. I almost always have a box in my freezer for a quick weekday breakfast. I have never had Vans but I want to try the PBJ Bars they look and sound delicious! I have never tried Van's, all of the snack bars look good and the french toast sticks look nummy too. I love the blueberry waffles! I love their gluten free waffles. I like Van's Blueberry Waffles. I love their BBQ Chips. I want to try the french toast sticks. I love their french toast sticks! I haven't tried any of their products yet, but they look good! I haven't tried Vans-natural....but the Nacho Nacho Man chips sound good and will be on my next shopping list. I like the french toast sticks. Haven't tried any of their products yet, but the multigrain chips look great, especially the BBQ! I'm always looking for healthier crunchy snacks. I love their organic blueberry waffles. i love their pancakes and waffles. i can't wait to try the new snacks. i am tony l smoaks on rafflecopter. I love the French toast sticks. Thanks so much for the chances to win. I like the Nacho, Nacho man chips!! I love the Gluten Free Crackers Say Cheese! I have never tried anything by them but the BBQ chips you have up there look really good.